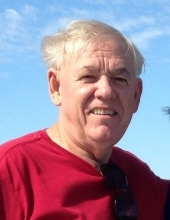 Dale Leslie Williams, 69, of Hattiesburg, passed away Saturday, November 10, 2018 at his home. Visitation will be Tuesday, November 13, 2018 at Calvary Baptist Church from 12:30 – 1:30 p.m. with services immediately following at 1:30 p.m. Burial will be in Boone Cemetery. Mr. Williams was a member of Calvary Baptist Church. He was a Supervisor at Temple-Inland for 41 years before retiring in 2010. He loved working in his garden. He was preceded in death by his father, Paul Williams; his mother and step-father, Eloise and J.R. Nance; and his mother-in-law, Virginia Sharrer. He is survived by his wife, Saundra Williams of Hattiesburg; one daughter, Jenny Swan (Tommy) of Purvis; one son, Robbie Williams of Purvis; two step-sons, Roger Danner (Bea) of Hot Springs Village, AR and Shane Danner (Weiyin) of Dallas, TX; two grandchildren, Jessica and Lauren Swan; two step-grandchildren, Nancy and Virginia Danner; and two brothers, Toxie Williams (Jill) of Seminary and Kenneth Williams of Lake Charles, LA. To send flowers or a remembrance gift to the family of Dale Leslie Williams, please visit our Tribute Store. "Email Address" would like to share the life celebration of Dale Leslie Williams. Click on the "link" to go to share a favorite memory or leave a condolence message for the family.